Based out of Daman and Diu, RMCL Universe is considered as one among the top 10 leading MLM companies in India. Their portfolio encompasses a wide spectrum of products. Right from agricultural, personal goods & cosmetics, food & beverages, household products, educational products to healthcare supplements, their product list is inexhaustible. With a goal to start & firmly establish its footing in the online business, RMCL approached Sankalp. With our domain expertise, we identified certain specific objectives which would position the client into an online leader across industry. Transitioning to digital – One of the primary objectives was to create a real - time system which would help to build the traditional networking business online. Creating an online presence – Sankalp then completed the SEO, along with creating a social media presence with accounts on Facebook, Instagram & Pinterest. A 40% increase in likes was seen on Facebook and 20% increase in the number of followers was seen on Instagram after the campaign. Creating an app – The core foundation of creating an app was to make is as simple for the end user’s application. An app which would assist the consumer to see his business, keep a track on his earning, view his e- wallet balance, ranks & recognition would prove to be a great return value for the client. The app has been incorporated in such a way, to attract more users along with 24*7 services which will help members get information at any time. Connecting shops & distributors seamlessly – Here again the logic used was that once an order is placed it goes to the nearest pickup centre & from the pickup centre to the nearest warehouse. With this in mind, the inventory management would be effortless. Assigning a dedicated team – To further enhance the process, a dedicated team of 5 members was assigned to the client. Here is a look at some facts & figures which highlight the impactful influence which Ventaforce has fashioned for the client. One of the primary reasons to choose Sankalp was location. One call & the next day they were at my office with the demo. I was impressed with the promptness they showed. The dedicated team provided for my project is very knowledgeable & truly amazing. It is great to see them go the extra mile for us, such as hiring resources when needed. The execution was done perfectly. Their can do attitude is truly commendable. DELIGHTING our CUSTOMERS has always been our motto. Serving to clients across the globe, we consider this as an important aspect of our success. 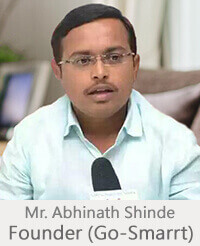 Hear from our customer Mr. Abhinath Shinde founder of Shri Venkatesh Multistate Co-operative Credit Society and Gosmarrt Infotech Pvt. Ltd.
" As an emerging company we came with a compelling vision to reach the remote villages of India where most of our competitors fail. Empowering the common man was my philosophy. After research and being advised by friends I zeroed down on Sankalp. Their experienced team took a lot of efforts in providing me with what I had only dreamed of. The end result was a software that easily adapted to my project needs and satisfied not just my team but also our end users. The quality of the insights generated was up to the mark and they even tailored the way data is stored, displayed, imported, and exported; hence our exact needs were met through customization. This is the opinion of one of our many customers. Help us in understanding ourselves better by providing your opinion. Hit agree/disagree on the below mentioned statements and add your valuable comments. Time mattered a lot to me, as every day a new competitor was being launched in the market. The delay in delivery could make me lose a significant amount every day. 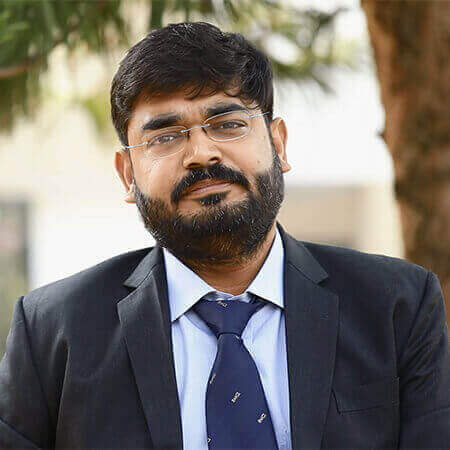 Understanding our dilemma Sankalp ensured that we had a smooth launch, by delivering the franchise model and the website in a month that helped me start my business right away. In the initial stages few competitors had informed us that the high end customization would take months. Today we can state that we feel proud of choosing them as a technology partner; as the transition from being a start up to the top 5 mobile commerce platform providers in India was made possible because of our association with them. We constantly strive for innovation and Sankalp helped us to incorporate the latest trends. The initial milestones we had planned for have been achieved. We still have a long journey to make with many more milestones and we are confident that Sankalp will never fail to delight us. " YES, WE DID IT AGAIN!!! 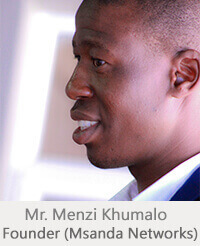 We are happy to announce one more addition (Mr. Menzi Khumalo) to our ever growing family of SANKALP’S HAPPY CUSTOMERS.
" I always wanted to provide some source of constant income to the needy in South Africa. This was the vision with which I started my company MSANDA Networks. My search for direct sales software ended when I googled Sankalp. Being located in South Africa, it was a hard decision for me to pay an overseas company. I met one of the Directors, Mr. Abhay Dugad when he was on his visit to South Africa. 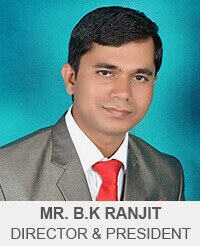 He is a very down to earth person and assured me that Sankalp’s team will customize the software". 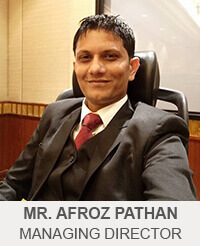 “56 members benefitted from this software in 2 months itself. Quick delivery helped me recover the investment made. They have become stable financially which makes me realize that some part of my vision has been achieved. The team is strong technically, which was an added advantage for me, being a non-technical founder. I have learnt a lot about MLM software and about income logic. I have earned a handsome revenue so far. The software is user friendly and very simple to understand”. “I had purchased the Mobile Apps services too as I wanted to start a new business which allows consumers with smartphones to submit a trip request which is then routed to drivers who use their own cars. The software provided is flexible enough to be modified for this usage too. In these 2 years I was going through difficulties financially but they kept on supporting me with a lot of patience until the project was successful. They really are the best in the industry. Good luck to them”. “I am really proud that I chose them”. Yuvanrich Transforming Lives is a reputed MLM company with thousands of MLM recruits. We use a binary MLM compensation plan to reward the performance of our employees. The network comprises more than 28,000 recruits. Previously, we were using a poor quality MLM software before meeting Sankalp Computer & Systems Pvt. Ltd.
Our previous software partner was not competent enough to provide an instant solution, and the MLM software lacked rational logic to give correct results. It became difficult to manage the payout of thousands of distributors. The MLM software was yielding wrong calculations of the payouts that led to the dissatisfaction of the distributors. The features were too less for the price they were charging. The customer service was also poor, and we had to face breakdowns multiple points of time. Whenever we called them, we did not get a prompt response from them. One of our employees came into contact with Sankalp’s sales person. He was very helpful and understood the problem we were facing. He told us about their MLM software, Ventaforce and its features. He offered an instant service and gave us an optimal solution which was not only relevant but highly customised. As compared to our previous service provider, Sankalp exceeds in almost all dimensions, one can think for a technical partner. Their sales support is excellent, and their business analysts are highly experienced and experts in their domain. They understood our problem from scratch and kept us posted with developments. We are happy that now we are working using a leading MLM software, Ventaforce that comes with many latest features that have simplified our lives. Now we can focus on our core area; that is building our network. The user interface of Ventaforce is very friendly. I am even surprised to get unexpected features in the Ventaforce. I would also like to add that Sankalp deserves accolades for their project execution and speedy delivery. The entire team is highly responsive and customer oriented. I am happy that now my team is satisfied and is moving forward with a new passion. Right Street Marketing Pvt. Ltd. is a well-established name in the industry. We have been engaged in the MLM business for an extended period. Nevertheless, in spite of having a good market hold, our team was not able to work efficiently. The root cause was the lack of technical assistance for operational and procedural tasks. The MLM software we were using was incapable of supporting us with compensation and other related aspects. We were using an MLM software provided by a local vendor. We had been continuously facing the problems with understanding logic and calculations. The overall result was an inefficient compensation management system that was big enough to discourage the hard working distributors. The payout calculations were wrong and untimely. We were also facing sudden breakdowns for which vendor did not provide the instant solution. The worst experience forced us to shut the software down finally. Finally, we decided to switch the MLM software. I researched on the internet and came across with Ventaforce, a leading MLM software. I contacted Sankalp and got a positive response from the team. One of the salespersons met with my group and understood our business requirements and challenges we were facing previously. I am delighted that we got a custom-made MLM software delivered on time by Sankalp. The entire team has been accommodating and professional when it comes to serving the clients. They even responded to our queries on holidays and assured us for a quality product. Our existing MLM software, Ventaforce is equipped with all the desired features to help us with the rapid expansion and growth of our business. Moreover, we happen to get extra features that we never thought of. However, I can say that the new elements are quite helpful in strengthening business performance. Now my team feels more confident and zealous to perform. The team Sankalp is exceptional and works with utmost diligence and commitment. The technical support and software maintenance is also available instantly. We look forward to a sustainable partnership with Sankalp.